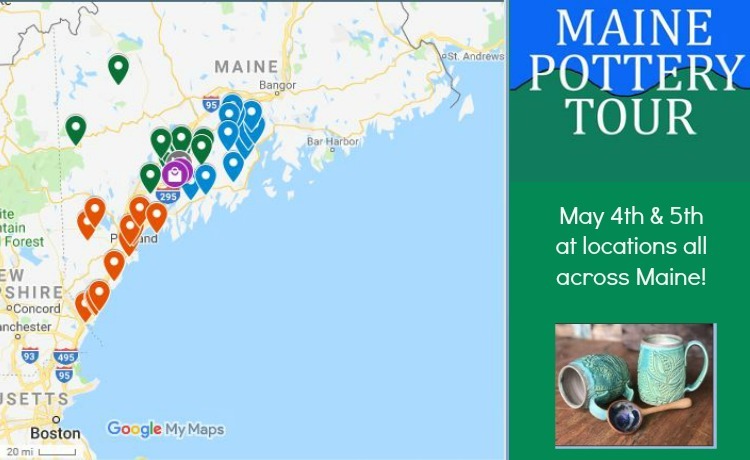 Every year on the first weekend in May, pottery and ceramics studios in Maine open their doors to the public. It’s a fun day and a chance meet the artists, peek in the kilns, see demonstrations, and shop for pottery and other handmade goods. 2019 will be our eighth year, and we will have dozens of participating studios from all over the state. Click here for an interactive map of participating studios and plan your adventure!